Writing a positive review for a company or a product can sometimes be tricky, especially when you have incentives to do it like placing your affiliate link inside the review or similar. Luckily, I have the freedom to choose who and what I want to write about, and in Hostinger’s case, it will be one of the easiest reviews I ever wrote. Easiest in a sense that I can write in all superlatives without feeling any guilt. If you don’t believe me, just check out the comparison page that my team created and see the leader for the 2018 year there. Even MediaNovas was hosted on Hostinger for the longest time until we got a deal we couldn’t refuse from some other web hosting company. But that is another story. Hostinger’s journey started fourteen years ago in Lithuania. 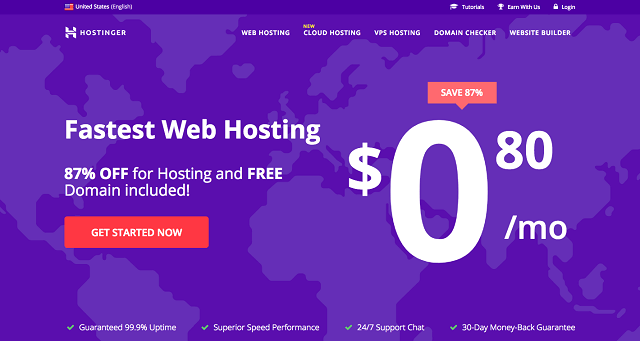 As they like to say, it all initiated with a simple idea of providing the dream web hosting for everyone: creating a website for free, no limits in PHP, MySQL, cPanel, and no ads. Twenty-nine million users across the globe later, Hostinger has established itself as a world-class hosting platform, available in 40 languages. The services have grown from free web hosting (Hostinger does not offer such plan anymore) to a full-scale one-stop service web hosting provider with shared hosting, cloud hosting, and VPS hosting as its core business. Upon opening their Homepage, you will notice that Hostinger offers a very competitive web hosting plan. Yes, that is true. You can get a plan by only spending USD 0.80 every month. It’s the monthly price for Single Shared Hosting in 3-month duration. Other than that, if you want to order a hosting plan in the long run all at once, alternatively you can choose 12-month, 24-month, or 48-month instead. Hostinger gives a different price for different duration and plans. Make sure to check them out to find the best price for you. Are they any good? Features and benefits of the available plans below will likely provide a better view. Single Shared Hosting is dedicated to small, simple websites. Available from USD 0.80 per month, this plan allows 1 website to be hosted, 1 email account, and 100GB bandwidth limit. As what I have said before, the resource should be enough to set up a simple company profile website, a brief explanation on what the business is about and how to contact the business. The plan does not come with free domain and SSL, so, although it is very affordable, you might need to spend more money on that. The most interesting feature offered by Hostinger is its unlimited resources. Hostinger is already well-known across the globe because of this feature. You can experience the thrill by using Premium Shared Hosting, price starts at USD 3.49 per month. Unlimited resources are yours to behold: unlimited bandwidth, unlimited SSD disk space, unlimited MySQL databases, unlimited and yes, you can create as many websites as you want with a free domain name included in the plan. Business Shared Hosting takes you beyond. The greatest, all-out shared hosting performance is here. Basically, you will get all the unlimited benefits just like the above plan. What is more, Hostinger provides bigger and better resource for you with 4X processing power, 400000 inodes (twice bigger than other plans), free SSL, daily backups, and free domain registration. This plan is suitable for more complex websites such as online stores and catalogs. All-in-one hosting plan for all your needs. Hostinger is worry-free. Their cheap price tags make an investment in web hosting service an easy decision. Apart from that, you can always claim the money-back warranty, especially when you think that Hostinger’s services aren’t really satisfying. I am pretty sure that such occurrences rarely happens to a service at this level. But if you do, you can always claim for one. This policy works at the span of thirty days after your hosting plan is activated. Once processed, you will get 100% of your money in the end. Self-help guide is something that the company has a library of complete documentation related to their services. A user can scroll through the many pages of Knowledge Base section to learn how to tackle technical issues on his website. Blog posts are published regularly to improve the understanding of our digital world by giving useful insights. The company is very concerned about what the users can achieve with the internet, as aligned in Hostinger’s vision to help people to unlock the power of the internet. I personally used several of their tutorials and i can vouch that they are brilliant. Ever tried to install a free SSL on your own? If so, you know how a lot of things can go wrong. Well, Hostinger’s tutorial was something I used and it was a breeze. Should you think that self-help guide is not going to work for you, Hostinger provides 24/7 support team who are ready for you anytime. In my 18 years of using the internet for business, I probably had to deal with customer support from over 50 web hosting companies. Believe me or not, customer support is something where no company is even close to Hostinger. Any question my team or I had for them, they would answer in under 2-3 minutes and they would actually know what they are talking about every single time. Hostinger is available in 40 major languages across the globe at the moment, so wherever you are, you can always talk to their support guys in your local tongue. You can conveniently reach them via Intercom button at the bottom right corner of your screen, surely after you have signed up. Hostinger has one sole purpose above all: enable millions of people around the globe to unlock the power of the internet and empower them to learn, create, and grow. So far, Hostinger stays ahead to make this vision come true. It is very easy to sign up and use their services, even for newbies. Should any difficulties arise, a dedicated support team is ready to help anytime, 24 hours per day, 7 days per week. Choosing Hostinger rather than other services is pretty easy. Knowing that they provide superb quality web hosting and available at such low price are the main reasons. Once the deal is done, you can always cancel in 30 days time. This experience definitely simplifies users in ordering web hosting service, especially for first-timers. Right now, they have a fantastic discount you shouldn’t miss if you are planning to buy or change your hosting so click here and sign up now. You will not regret it. 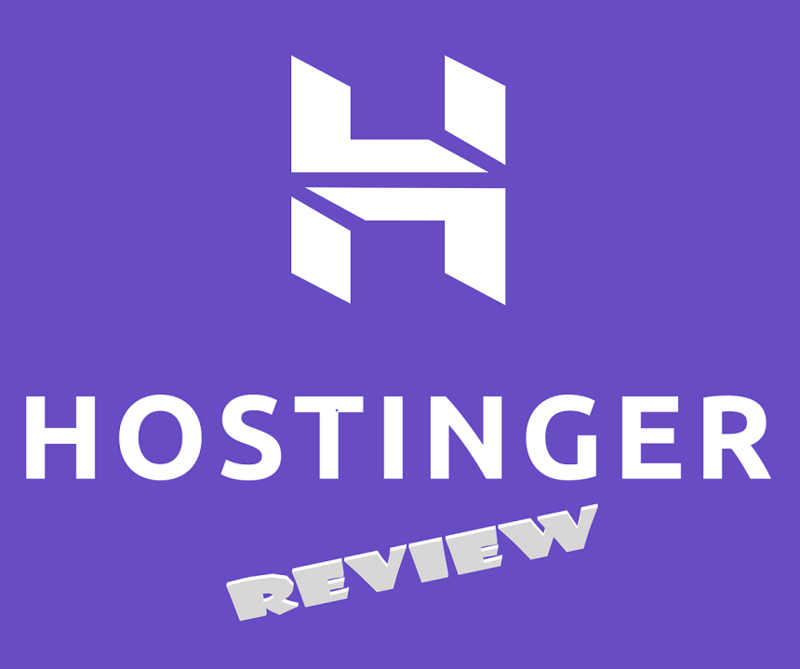 Hope you liked our Hostinger review, please let us know in the comments if you had any experience with them and if you agree with our review. I love their tutorials, they have a post for every topic I ever searched, and if something is still unclear for me the support is always helped me quite quick. Good host! Agree. More than once I found some guide or a tutorial on their website when I needed help. Looking at it from a perspective of a digital marketeer, it’s obvious they hired some great people to do their SEO, mainly content marketing.